This is a foreign exchange guide to Russia, the Russian Ruble currency plus RUB transfers and travel tips. Russian Ruble exchange rates - latest & historic exchange rates. What is the Russian Ruble currency code and symbol? The three letter currency code for the Russian Ruble is RUB and the symbol is . Which countries use the Russian Ruble? It is the domestic currency in Russia. Reputedly, the Russian ruble has been in existence in one form or another for nearly 800 years, and as such is one of the world’s oldest national currencies. A single ruble unit is subdivided into 100 kopeks. Contributing to around 1% of all foreign exchange deals, the ruble is the world’s seventeenth most traded currency. The value of the ruble is heavily influenced by commodities prices since Russia’s top exports include oil, natural gas and metals. In recent years, the most significant event to affect the ruble’s valuation came in the second half of 2014 with the introduction of economic sanctions against Russia for its annexation of Crimea from Ukraine. These sanctions, together with a 50% drop in the oil price in the same period, led to a ruble collapse. The ruble lost nearly 60% of its value against the US dollar between July and mid-December 2014. Since 2000, the ruble’s highest valuation against the dollar occurred in July 2008 when USD/RUB fell to just 23.05. Its lowest value came in January 2016 when USD/RUB reached 85.97. The ruble is considered riskier to hold than the FX "majors,” which means that it is likely to fall in value against those currencies (especially JPY, USD, CHF, EUR and GBP) during periods of significant economic uncertainty or high market volatility, or when global geopolitical risk is elevated. The interactive chart below shows the USD to RUB exchange rate for the previous 3 months with rate alerts for days when the exchange rate moved up or down significantly or for 30 day highs and lows. Russian food is plentiful, home cooked, and delicious. Soups are very good. The bread is delicious. Food in the supermarkets is plentiful and reasonably priced. There is a wide variety of teas, chocolates, dairy products, produce, candies, and vodka. Carry plenty of cash. What currency should I use in Russia? They’ll take Visa or MasterCard in the big shops and stores, but virtually no one, except at the hotel, takes American Express. And be prepared to have to pay cash at the smaller restaurants. 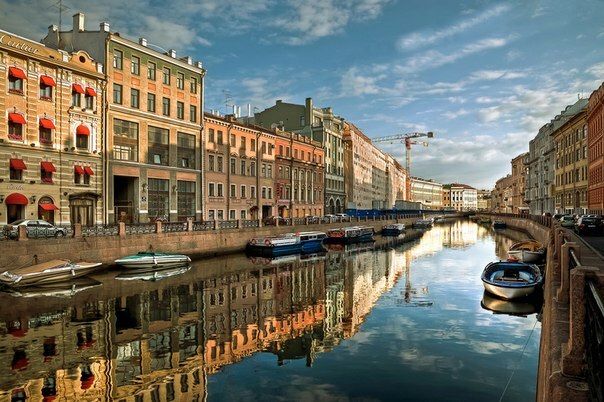 Moscow is one of the most expensive cities in the world and St Petersburg is not a cheap destination either; wallet-thinning shock is common at many restaurants and hotels. ATM machines are very easy to find in Russian cities, so you can easily withdraw Russian Rubles from an ATM machine that usually provides the option to switch the language to English. Many businesses accept only cash and taxis do not take credit cards. If you plan to buy roubles in Russia, you should take US dollars or euros to exchange, and only change money at banks, hotels and airport exchange bureaux. It is an offence to change money from street traders. Right across Russia, timetables for long-distance trains are written according to Moscow time. The only exceptions are those for suburban services that run on local time – but not always, so double-check. Station clocks in most places are also set to Moscow time. Note that Moscow and St Petersburg share the same time zone. The metro systems of Moscow and St Petersburg are excellent. There are smaller ones in Kazan, Nizhny Novgorod, Novosibirsk, Samara and Yekaterinburg. Long-distance buses tend to complement rather than compete with the rail network. They generally serve areas with no railway or routes on which trains are slow, infrequent or overloaded. Within most cities, marshrutky double up on official bus routes but are more frequent. They will also stop between official bus stops, which can save quite a walk. Services are frequent in city centres but more erratic as you move out toward the edges. They can get jam-packed in the late afternoon or on poorly served routes. Renting a car is a good option, however almost all signs are only in Russian. Allow lots of time at the airport, even for domestic flights. Security and check in are inefficient and the lines move slowly. Be sure to make time for flights, Russian airports do not seem as tolerant of lateness as most. Be sure your frequent flier numbers are in your reservation; the desk clerk you get may not have a clue on how to enter one, especially for a codeshare flight. 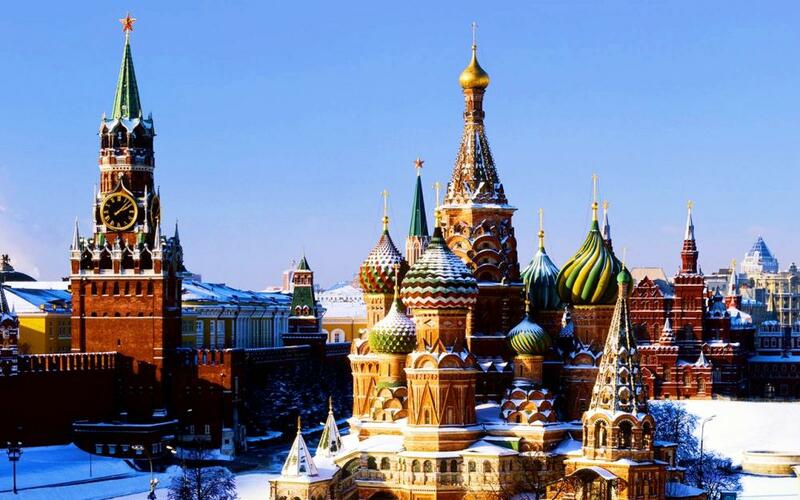 Yes, chances are you need a very for Russia, and it can get compilcated so start the application process at least a month before your trip and consider using a specialist travel agency to arrange visas and make key transport bookings. This is an absolute must for everybody. You can do it at the last moment, but it may cost you a fortune. Every visitor to Russia should have their visa registered within seven days of arrival, excluding weekends and public holidays. There are no standardized opening and closing times for museums, cathedrals and other attractions in Russia. Lenin’s mausoleum in Moscow’s Red Square, for example, is only open from 10am until 1pm and is closed on Mondays and Fridays. Even if you don’t normally drink the stuff, if you’re in Russia you should definitely try some of the vodka – just call it cultural research. Vodka is served with meals, and it’s best to drink it as a shot, not sip it. Russian power outlets take round 2-pin Euro plugs. A flat Euro plug adapter don't usually fit into the socket. Current is 220V. Save money and time by Ordering your Russian Ruble online from Travelex, you get better rates and can pick up the RUB cash locally or even on travel day at the airport. For card purchases if offered a choice of currencies always select to Pay in Russian Ruble otherwise you may get much worst exchange rates. Compare RUB travel cash rates - probably why you are here! When searching around for information on how to get a good exchange rate when sending money to Russia you need to start with finding out the latest Russian Ruble foreign-transfer exchange rate. There are no taxes when purchasing a property, but owners pay an annual property tax of 0.5% of the property value. To get tax resident status, you will need to have lived in Russia for at least 183 days over the last 12 months. If you sell your home within 5 years of purchase (or 3 years if purchased prior to 1 January 2016), there is a 13% tax on profits. Selling after 5 years there is no tax on profit. Once your funds are received by the provider the converted RUB amount will be transfered to the recipient account you specify in Russia. Use our Send to RUB calculator to compare the exchange rates of FX specialist providers rates versus your bank's standard rates you can hopefully save around 5% and maybe more - end result is more Russian Ruble deposited into the recipient bank account and less margins and fees kept by the banks!